Soccer is a Fall/Spring sport, right? Not in Hawaii! Here in the islands, our amazing weather allows us to host sports teams year-round. 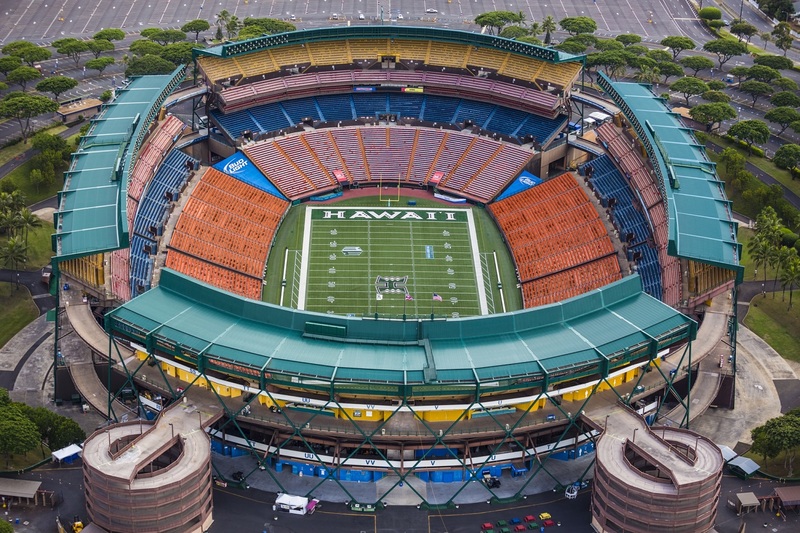 And this year, Oahu will welcome the U.S. Women’s National Team to Aloha Stadium! The U.S. Women’s National Team (USWNT) and the Hawaii Tourism Authority (HTA) just announced that the team will play this winter in Hawaii, on Dec. 6, 2015. And, if you’re visiting when they’re here, you can watch them play during their very first trip to the islands. In July 2015, the USWNT beat Japan to take the title of 2015 FIFA Women's World Cup Champion. The match in Hawaii is part of the Victory Tour. In July 2015, the USWNT beat Japan to take the title of 2015 FIFA Women’s World Cup Champion. As a part of the Victory Tour, the team will play Trinidad and Tobago at Aloha Stadium and will be broadcast on Fox Sports 1 and FOX Sports GO. The tour began on Aug. 16, 2015 in Pittsburgh, and Honolulu is the seventh stop of a 10 city tour. Aloha Stadium on Oahu is the venue for the match between the U.S. Women's National Team and Trinidad and Tobago. If you want to be part of the action in December, contact one of the travel professionals at Hawaii Aloha Travel. When you book an affordable, all-inclusive custom Oahu vacation, you may be able to include time-off to enjoy the U.S. Women’s National Team match in your itinerary. Just let your agent know, and he’ll help you create a one-of-a-kind Hawaii vacation that includes all the excursions you want to experience during your stay. Information on ticket sales will be announced at a later date. For more information on the USWNT or the game, visit www.ussoccer.com.